High pressure metal mold wax injector with vacuum. Increase your pattern to pattern consistency. 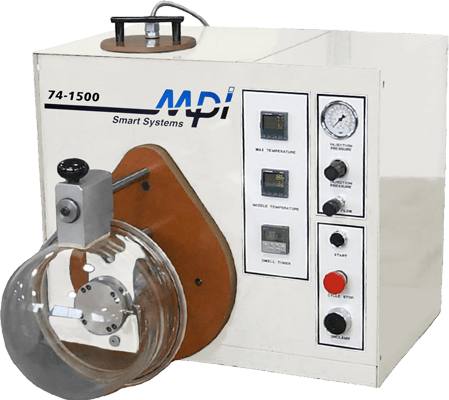 The MPI 74-1500 is designed to produce accurate, repeatable wax patterns. It utilizes high-pressure metal mold technology resulting in significant advantages over other injection techniques. Controls for wax temeperature at resevoir and nozzle, injection pressure, cycle time, wax flow, easy to read and simple to adjust.